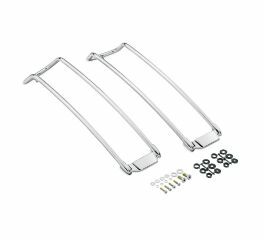 The low-profile aerodynamic styling of the Air Wing Saddlebag Lid Rail enhances the look and protects the lid of your Colour-Matched Hard Saddlebags. Mirror-chrome finished rails cascade down the front of the saddlebag to protect the paint from a misplaced boot heel. 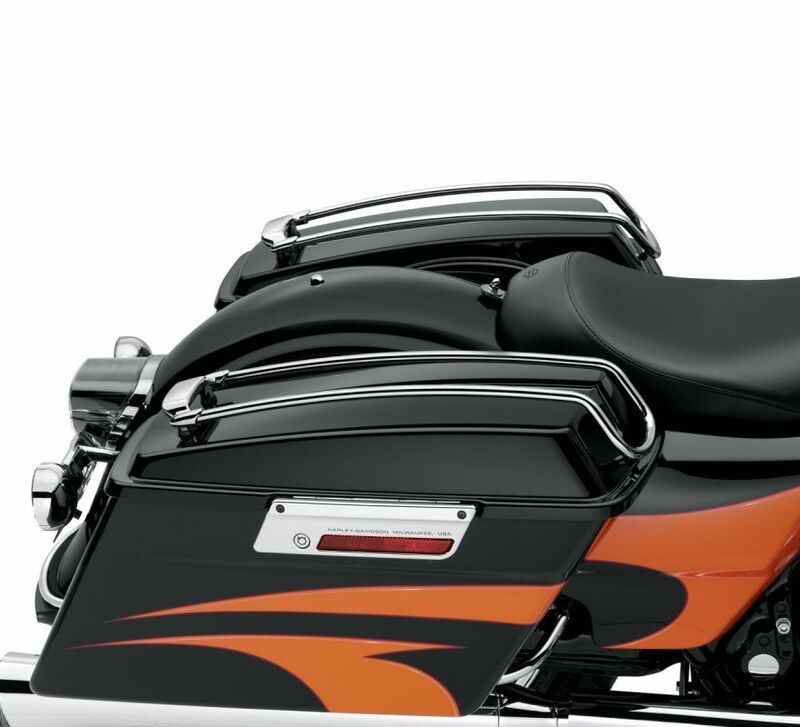 Fits '93-'13 Touring models with Color-Matched Hard Saddlebags. Does not fit models with leather covered bags, models equipped with Saddlebag Wing Tips P/N 53826-00B or models equipped with Saddlebag Speaker Kit P/N 76000202.